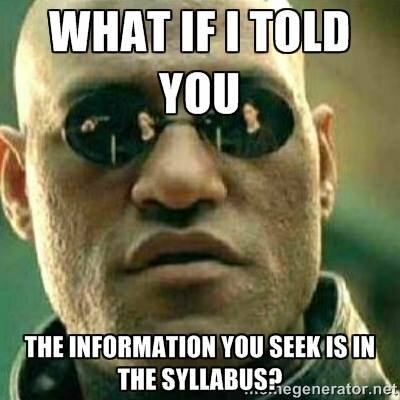 Russ Coff has assembled an impressive list of syllabi and reading lists for PhD courses in strategy, innovation, research methods, and related subjects. Feel free to send him additional suggestions. Many useful references here for faculty and students teaching or taking these courses, and for anybody wishing to learn more about classic and contemporary literature in strategic management research. We’ve written many posts on the popular belief that information technology, globalization, deregulation, and the like have rendered the corporate hierarchy obsolete, or at least led to a substantial “flattening” of the modern corporation (see the links here). The theory is all wrong — these environmental changes affect the costs of both internal and external governance, and the net effect on firm size and structure are ambiguous — and the data don’t support a general trend toward smaller and flatter firms. I set out to investigate the flattening phenomenon using a variety of methods, including quantitative analysis of large datasets and more qualitative research in the field involving executive interviews and a survey on executive time use. . . .
We discovered that flattening has occurred, but it is not what it is widely assumed to be. In line with the conventional view of flattening, we find that CEOs eliminated layers in the management ranks, broadened their spans of control, and changed pay structures in ways suggesting some decisions were in fact delegated to lower levels. But, using multiple methods of analysis, we find other evidence sharply at odds with the prevailing view of flattening. In fact, flattened firms exhibited more control and decision-making at the top. Not only did CEOs centralize more functions, such that a greater number of functional managers (e.g., CFO, Chief Human Resource Officer, CIO) reported directly to them; firms also paid lower-level division managers less when functional managers joined the top team, suggesting more decisions at the top. Furthermore, CEOs report in interviews that they flattened to “get closer to the businesses” and become more involved, not less, in internal operations. Finally, our analysis of CEO time use indicates that CEOs of flattened firms allocate more time to internal interactions. Taken together, the evidence suggests that flattening transferred some decision rights from lower-level division managers to functional managers at the top. And flattening is associated with increased CEO involvement with direct reports —the second level of top management—suggesting a more hands-on CEO at the pinnacle of the hierarchy. I’m very excited about Doug Allen’s forthcoming book The Institutional Revolution (University of Chicago Press). Trained by Yoram Barzel (and hence part of the Tree of Zvi), Doug is a leading contemporary scholar on property rights, transaction costs, contracting, and economic history. 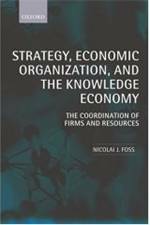 His work on agricultural contracting with Dean Lueck, including their 2002 book The Nature of the Farm, is a classic contribution to the economics literature on economic organization. He also has a very good introductory textbook. More information is at Doug’s informative (and amusing) website. Few events in the history of humanity rival the Industrial Revolution. Following its onset in eighteenth-century Britain, sweeping changes in agriculture, manufacturing, transportation, and technology began to gain unstoppable momentum throughout Europe, North America, and eventually much of the world—with profound effects on socioeconomic and cultural conditions. In The Institutional Revolution, Douglas W. Allen offers a thought-provoking account of another, quieter revolution that took place at the end of the eighteenth century and allowed for the full exploitation of the many new technological innovations. Fundamental to this shift were dramatic changes in institutions, or the rules that govern society, which reflected significant improvements in the ability to measure performance—whether of government officials, laborers, or naval officers—thereby reducing the role of nature and the hazards of variance in daily affairs. Along the way, Allen provides readers with a fascinating explanation of the critical roles played by seemingly bizarre institutions, from dueling to the purchase of one’s rank in the British Army. 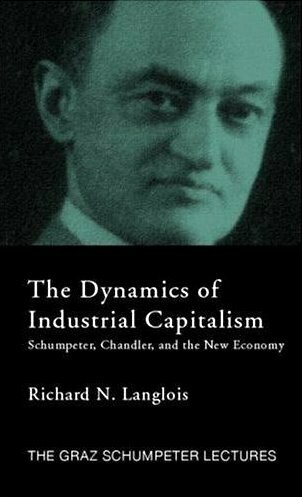 Engagingly written, The Institutional Revolution traces the dramatic shift from premodern institutions based on patronage, purchase, and personal ties toward modern institutions based on standardization, merit, and wage labor—a shift which was crucial to the explosive economic growth of the Industrial Revolution. Bonus: Here’s the syllabus from Doug’s course on the economics of property rights. I’m teaching a five-week, online course starting in January called “Networks and the Digital Revolution: Economic Myths and Realities.” It’s offered through the Mises Academy, an innovative course-delivery platform that is becoming its own educational ecosystem. A description and course outline is here, signup information is here. I’d love to have you join me! Earlier I shared the reading list for my graduate course in the Austrian school of economics. Chris Coyne is teaching a similar class and has posted his syllabus here. Chris’s course is laid out differently than mine, with a different mix among types of readings, but I like what he’s done. As Pete Boettke and Joe Salerno have noted, the diversity and variety of course offerings and educational programs in Austrian economics is a sign of the health and vitality of the school.